The proposed resolution, inspired by several others—including one that passed last month following the teachers strike in the Los Angeles Unified School District—calls for a moratorium on charter school expansion from the California State Board of Education and seeks to establish additional oversight over existing charter schools. The moderator asked questions about charter schools, nutritious lunches, school safety and educational inclusion at a forum Tuesday. Meditation and breathing exercises are daily rituals at Grant Elementary School in Richmond. Principal Farnaz Heydari introduced these practices in an effort to reduce bad behavior, which had led to high numbers of student suspensions. United Teachers of Richmond is currently in negotiations with the West Contra Costa Unified School District school board for said salary raise and smaller class sizes. The proposal comes after the union called for an increase in teacher retention rates. A recent study suggests that not only do suspensions take a toll on students, they place a financial burden on their communities. West Contra Costa school officials and the local teachers union said Thursday they intend to resume bargaining in a few weeks after teachers rejected a proposed settlement while demanding bigger pay increases. In the wake of recent mass shootings—including one in December at Sandy Hook Elementary School in Newtown, Connecticut, which took 26 lives, and one in late July at an Aurora, Colorado movie theater, which left 12 dead—an East Bay politician is pushing for new state restrictions on the sale of ammunition in California. The move has received widespread support from city and school officials in cities like Oakland and Richmond, which struggle with high rates of violent crime. 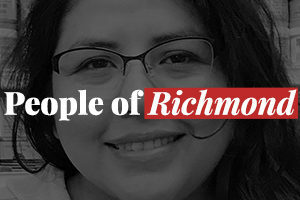 During a heated meeting on Tuesday night, Richmond council members tackled two items that drew out many members of the public: the teachers’ union’s concerns about Teach for America members employed in Richmond and the formation of the city’s first business improvement district. But the most heated exchange of the night came when council members Corky Booze and Jovanka Beckles got into a dust-up over Booze’s request for a legal opinion regarding his concerns about the possible civil rights violations of public speakers during past meetings.